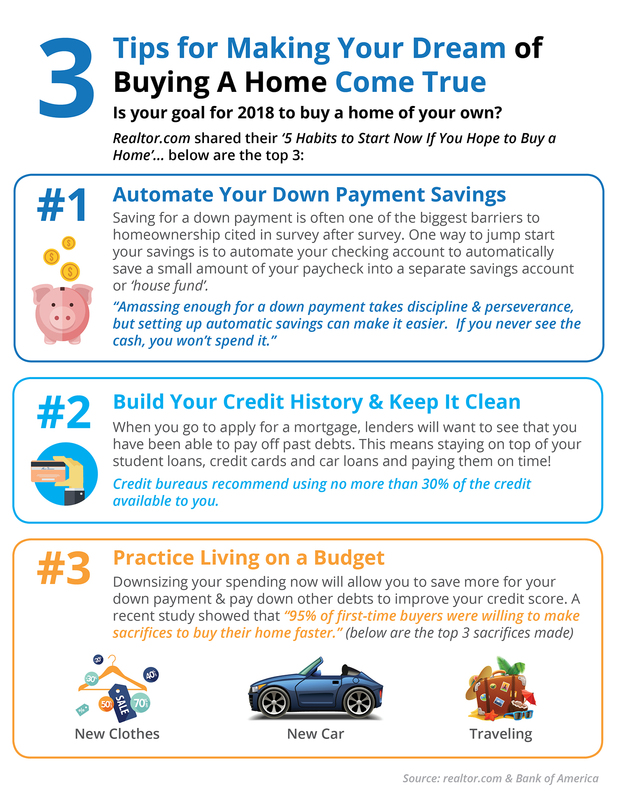 Realtor.com shared their “5 Habits to Start Now If You Hope to Buy a Home.” These are simple tips, but very effective. Setting up an automatic savings plan that saves a small amount of every check is one of the best ways to save without thinking a lot about it. Watch and work on your credit history and score. Living within a budget will not only help you save money for down payments but will help you pay down other debts that might be holding you back.